This is a beautifully sleek belt slide holster. 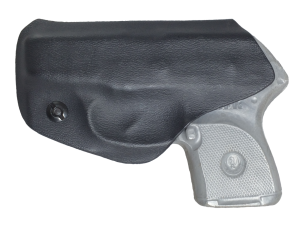 Unlike most belt slide holsters that have a forward cant, this holster holds the gun in a straight up and down position -an ideal carry method for women because of our shorter torsos. 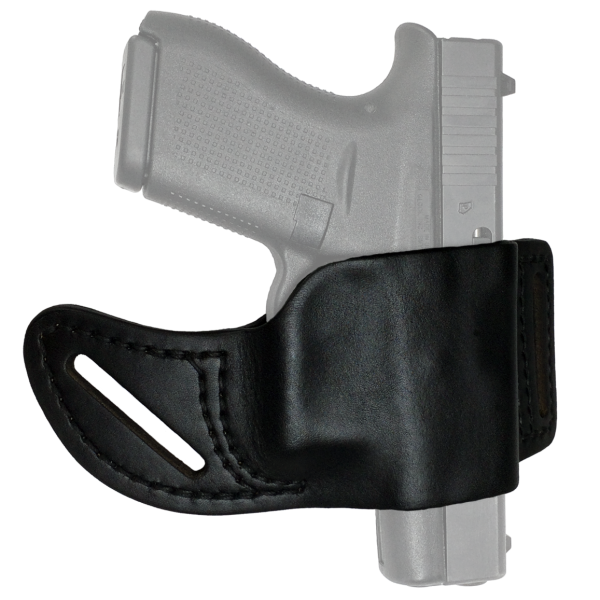 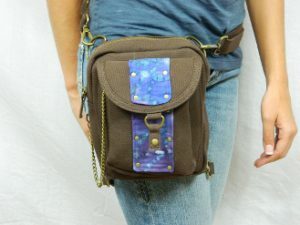 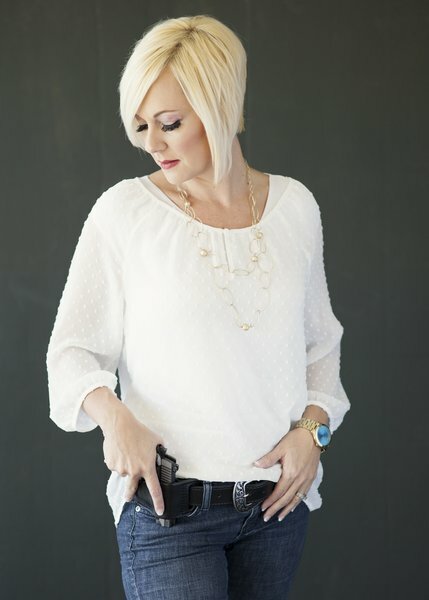 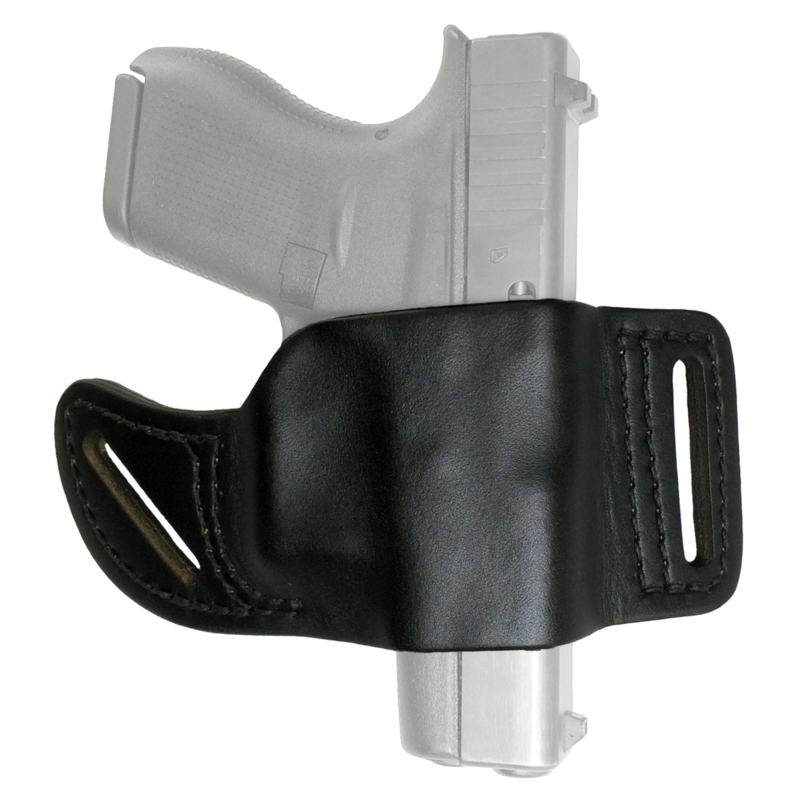 This holster also holds the gun in nice and tight to the body allowing cover garments to be lighter and thinner. 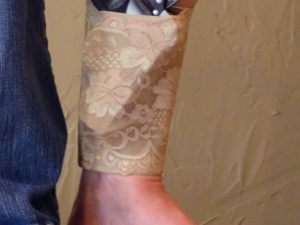 SKU: HLSTR-SLDE-001. 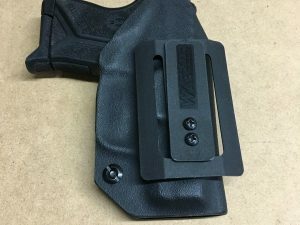 Tags: Belt Holster, Belt Slide Holster, Black, Black Holster, Holster, Leather Holster, OWB Holster.